We read Luke 2 every Christmas. And every Christmas, I’ve assumed the same thing: these shepherds were probably just shocked to see an angel. Anyone would be, right? And yet, why “sore” afraid? These people were faithful, they would “haste” to follow instructions, so what was so scary to them? People say dating is hard work. I’ve got mixed feelings on the matter. Going out with good friends to do fun things, enjoy each other’s company, and have a fantastic evening? That isn’t hard at all, and it’s because I don’t have lofty expectations tied to those events. Trying to find the right relationship? Now that can be rough. Love? Love is easy! It is easy to love others, and I daresay I’m lovable too. Lust? Sparkles? Fireworks? Butterflies? I honestly don’t think they are that hard to come by, either. I just don’t feel terribly comfortable trusting those feelings until I know the relationship is right for me. I am more than confident in my ability to -generate- sparks, though. I love sparks and I know how to let them fly! I just don’t believe in employing that particular skill set without an appropriate level of commitment. Maybe I’m doing it wrong, but for now, that is what I am doing. 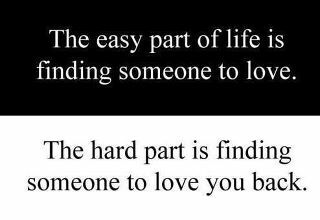 What is hard? Trying to identify “the one” and successfully being “the one” for that person. THAT is the challenge. THAT is where the minefield of heartbreaks lie. That is where the real work is required. What’s more: all that hard work doesn’t come an end at the wedding. Even in the best of marriages, these attributes of kindness, patience, respect, forgiveness, hard work, diligence, faithfulness, service, generosity etc… are ALL required to maintain a relationship that is worth having. All of these, when combined, have the potential to create the kind of everlasting love I want. I prayed mightily. There were many who could serve. All had ability. I knew some better than others. But I waited til the Lord told me in spirit who should serve by my side. So I’m waiting, patiently, pressing forward as well as I know how, and hoping for the day the Lord will confirm to both of us that we are indeed the ones who should serve by each other’s sides. The kids and I typically read and discuss a chapter from the new testament for scripture study each night, but on the nights when we’re out of time or just not feeling up to it, we still try to at least read and talk about a scripture mastery reference. We have a box full of scripture mastery cards for just such occasions, too. Last night for example: we were all exhausted, and I was coming down with a cold, but we didn’t want to miss scriptures altogether, so out came the box. Imagine my surprise when the scripture mastery card came out in Spanish! I don’t know where it came from, so if you happen to be missing a Spanish scripture mastery card, we’ve got it for you here. The kids haven’t taken Spanish for well over a year and a half now, and I’ve never taken it at all, but we sounded it out, and then each tried to guess what it meant before looking it up to verify. Surprisingly, we did alright! Some of our ‘translations’ made us laugh, too… we thought ‘Flaquezas’ might mean flakiness, and while we didn’t get the word quite right, it fit well. ¡Oh ese sutil plan del maligno! ¡Oh las vanidades, y las flaquezas, y las necedades de los hombres! Cuando son instruidos se creen sabios, y no escuchan el consejo de Dios, porque lo menosprecian, suponiendo que saben por sí mismos; por tanto, su sabiduría es locura, y de nada les sirve; y perecerán. Pero bueno es ser instruido, si hacen caso de los consejos de Dios. That’s from verse 9 of Mosiah 2. A few weeks ago, a friend and I were talking about how strange it is that we take revelation for granted. We really do believe that God speaks today through His prophets as well as to our hearts. That should be a BIG DEAL, right? Why is it so easy to take what we’re given and set it aside? We say to ourselves, “Well that’s nice. I’ll think about it,” … and that’s if we even took notice in the first place. Why is it so hard to take heed? The “epistle” part had me visualizing my mailbox full of junk: ads saying I don’t have enough, magazines saying i’m not pretty enough, bills saying I need to pay more, credit card offers saying I can play today and don’t have to pay for a long, long time…. sounds like the messages I hear every day even without checking the mail! Wouldn’t a personal message from the One who loves me most be so much more than all that? Do I give the world’s messages to and about me equal weight with what I hear at conference, in the scriptures, or through the Spirit? Now that I think about it, … well… I do. Hopefully realizing that will help me work on booting those negative messages out and opening my heart and mind to the Spirit of truth.